FINISH Film-Let's Make it Right was given the Gold Trophy in the Best Social Development Campaign Category in FLAME AWRDS 2014 held in Delhi in March this year. The film has also earlier received Golden Drop Award at 6th World Water Form 2012. The film was produced to promote FINISH Program, to explain the reasons for building a toilet. The prime objective of the Film, "Let's make it Right" was to trigger the rural masses by a simple yet effective medium to instigate behaviour change regarding sanitation & hygiene. 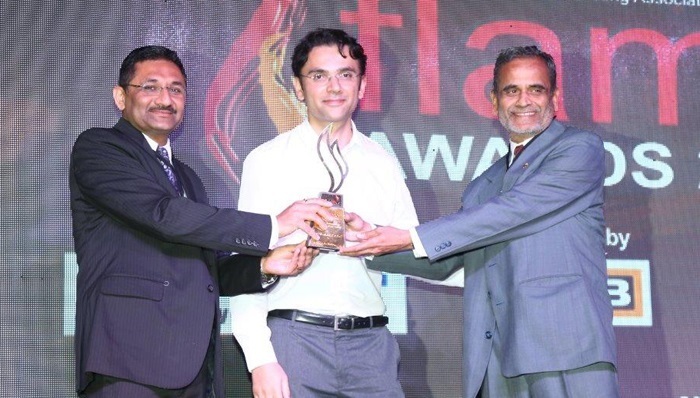 FLAME AWARD is organized every year by Rural Marketing Association of India. Rural Marketing Association of India instituted the Flame Awards in 2006 to recognize excellence in marketing, promotion and initiatives in rural markets of the country. This platform also enables rural practitioners & marketers to showcase & share their best works in rural domain. The Flame Awards celebrates all aspects of a marketing & communication strategy in the rural context. This year there were over 200 entries across 23 categories from lead corporate brands, rural agencies, media companies, NGOs & development sectors. A highly experienced jury from diverse industry sector judged the entries.